The MCU is sending a couple of its lesser-known heroes to the small screen. 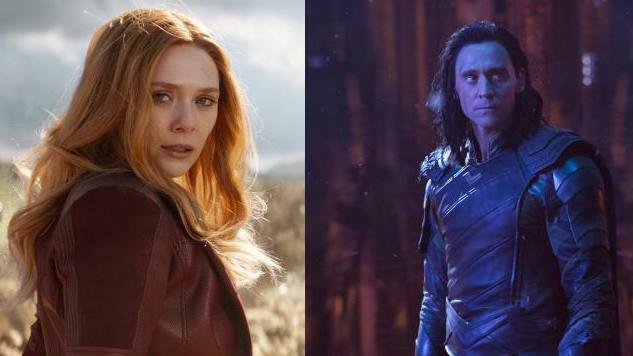 On Tuesday evening, a Variety report revealed that Disney’s forthcoming streaming service will host shows centered on Loki and Scarlet Witch, starring their big-screen counterparts in Tom Hiddleston and Elizabeth Olsen, respectively. Disney plans to focus efforts on the universe’s secondary characters with these series; heroes who have not starred in their own movie are the only candidates for these TV debuts. Each limited series is slated for six-to-eight episodes, though story details and writers are either unannounced or yet to be hired. Given Marvel’s track record, it’s hard for fans to temper their expectations. Kevin Feige himself is committed to working on the shows and Disney is casting the same actors in each role. It’s simultaneously a nice surprise and, presumably, a big-budget hit in the making. Details have yet to be released on Disney’s streaming service—not even a name—but that hasn’t stopped the company from making big announcements like this one. Along with these series, Disney is promising Star Wars and High School Musical shows, a Lady and the Tramp live-action film, and its forthcoming Captain Marvel and Dumbo movies. Oh, and the service is supposed to be cheaper than a Netflix subscription. Disney is really trying to dominate the streaming scene, and at this rate, it just might. After DC’s less-than-lukewarm Titans trailer for its exclusive streaming platform, there may not be much competition from the other half of the Big Two. Disney’s streaming service is scheduled to land late next year, with Marvel’s Avengers shows following close behind.